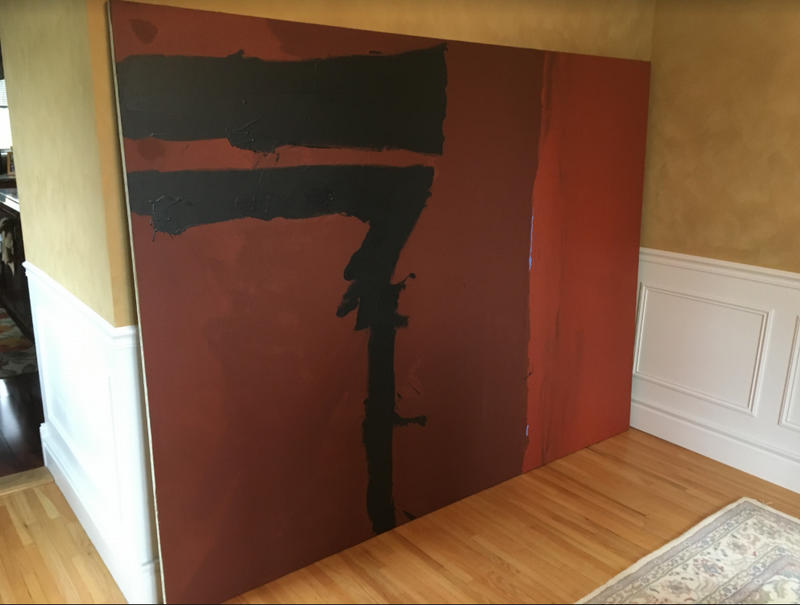 An untitled abstract painting by Robert Motherwell that was stolen in 1978 has now been recovered by the FBI. It was among a number of works that went missing in 1978 when Motherwell switched storage companies. He had, according to the FBI, used The Santini Moving Company exclusively during the 1960s and 1970s to both store and transport his art. But in 1978, Motherwell changed companies, and while cataloguing his work for the move, he classified dozens of works, including the 1967 Untitled, as missing or stolen. Then in 2017, the son of a former and now-deceased Santini employee attempted to authenticate the piece, which had been in his father's possession for 30 years, with the Dedalus Foundation in New York City, which holds the deeds to most of Motherwell's art. It's a group he founded in 1981 to help the public understand and appreciate modern art. That's when the president and CEO of the Dedalus Foundation Jack Flam recognized the piece as one the stolen works and involved the FBI. The individual voluntarily gave up Untitled after being approached by the FBI Art Crime Team. The art news site Artnet reported that this individual isn't believed to have had any knowledge of the theft and has not been charged. "Motherwell never titled this work of art before it vanished," FBI Assistant Director-in-Charge William F. Sweeny Jr. said in a statement. "Maybe, after all, that's part of its story – one that begins a new chapter here today. We are honored to restore this extraordinary piece to the Dedalus Foundation, so that those who appreciate the value of fine art may now come to know the true narrative of the painting's past, present, and future." "The storied past of this magnificent piece may never be known," Manhattan U.S. Attorney Geoffrey Berman said in a statement, "But now, thankfully, 40 years after Robert Motherwell began painting this piece, this work of art is where it should be: with the Dedalus Foundation and for the benefit of the public." Motherwell was an American painter, printmaker, and editor who was also part of the "New York School," a group of artists active in New York City in the 1950s and 60s who were inspired by surrealism and the avant-garde movements. Along with Motherwell, Philip Guston, Jackson Pollock, and Mark Rothko were part of the New York School.